Will it watch your every move? With just over a week to go before Sony's Feb. 20 event, a happening where we expect the company to unveil the PS4, more details are seemingly emerging about another highly anticipated gaming system. Kotaku said Monday it obtained a cache of info about the next Xbox, a device codenamed "Durango," from someone using the alias "SuperDaE." SuperDaE supposedly has access to two development kits as well as Microsoft "white papers," documents created to prep game developers for new consoles. Microsoft remains tight lipped as to whether it's even developing a Xbox 360 follow-up, and specs and features are always subject to change, so take the following with a grain of salt. That said, Kotaku noted that many of the revealed details aren't just for dev kits - they apply to the final retail versions, too. Of particular note in SuperDaE's info is wording that Kinect will be essential to the new Xbox - the system won't run without it. We've heard about and fully expected such a tight connection between the so-called Xbox 720 and Kinect, and SuperDaE's data seemingly backs up the relationship. SuperDaE, by the way, gained some notoriety last year when he tried to sell a Durango dev kit on eBay, an act Microsoft reportedly blocked him from doing over copyright issues. He's also leaked info to Kotaku about the PS4, the publication noted. 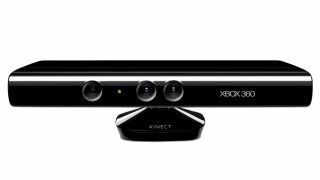 According to the report, the new Kinect will be a "far superior" version to the model currently on the market and will ship with every Xbox. Users will have to plug in and calibrate the unit in order for the console to work. Calibration is vital as developers are creating games with Kinect in mind, Kotaku's report noted, since every system is camera-equipped. What's more, the Kinect camera sensor will be able to pick up six individual "skeletons" occupying one room at the same time, anytime. There's definite "we're watching you" implications with this, including possible relation to a newly-patented Microsoft system that monitors and possibly charges users "based on who is watching what." Automatic player identification may become part of the gameplay experience, SuperDaE's docs mention. Compared to the current camera Kinect for Xbox 360 owns, Durango's will have a resolution of 1920 x 1080 with a depth resolution of 512 x 424. It will be able to track more minute movements than before, such as whether a hand is open or closed. According to the documentation, users can run multiple games or apps simultaneously on the system. Users will also have the ability to put a game into "suspend" or "constrained" states mid-play, then flip on another game without losing their place in the first one. As for storage, Durango is said to come with a 500GB HDD, while also offering an 8-core, 64-bit CPU running at 1.6GHz, an 800MHz DirectX 11.x GPU, plus "various custom hardware blocks" for tackling individual tasks. Check out Kotaku's report for the full breadth of information, but do note that for now, everything is just speculation until we have final word from Microsoft. We anticipate an announcement soon, especially with the PS4 likely roaring onto the scene by next week. Update: Microsoft responded to TechRadar's request for a word by saying that the company doesn't comment on rumors or speculation. "We are always thinking about what is next for our platform, but we don't have anything further to share at this time."